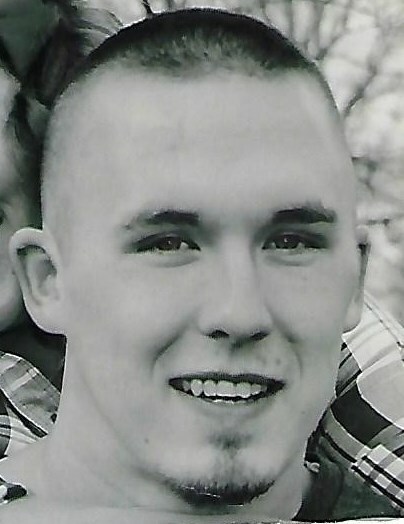 Age 24, of Wagner Drive, Minster (formerly of Sidney), passed away Monday, April 1, 2019, at the Miami Valley Hospital in Dayton, Ohio, following an automobile accident in Shelby County, earlier that evening. He was born July 20, 1994, in Piqua, Ohio. Dustin is survived by parents, Misty Michelle (Idding) & Dan Michael Koverman of Minster and David Allen Adkins of Lakeland, Florida. Also surviving are grandparents, Michael & Brenda Iddings of Wapakoneta; two daughters, Khloe Leann Adkins, Kali Jo Corner and their mother, Katie Corner of Sidney; a brother, Matthew Iddings of Troy and step brother, Levi Adkins of Columbus; several aunts & uncles: Beth & Mike Iddings of Minster, Shannon Iddings & Allen Miller of Piqua, April & Randy Robbins of Minster, Timmie Adkins of Troy, Jeremy Combs (dec.) and Julian & Savannart Salas of Colorado as well as 10 cousins, 25 2nd cousins, 3 great aunts, numerous family and friends. Mr. Adkins was a 2012 graduate of Fort Loramie High School and had been employed at Industrial Packaging in Sidney. Dustin enjoyed life as much as anyone could and will be greatly missed. Funeral Services will be 11:00 AM, Friday, April 5, 2019, at Gehret Funeral Home in Fort Loramie with Deacon Paul Timmerman presiding. Interment will follow at German Protestant Cemetery in New Bremen. Friends may call Friday 9:00 to 10:45 AM at Gehret Funeral Home. Memorials may be made to the charity of donor's choice. Private condolences may be expressed at www.gehretfuneralhome.com.